A couple weeks ago, I wanted to make pulled pork sandwiches. I went to the grocery store and stared at the shelves, looking at my options for a barbecue sauce. There were 15 different brands. I picked up the first bottle. The 2nd ingredient was high fructose corn syrup. I put the bottle back down, and picked up the next one. High fructose corn syrup and caramel color. I kept reading the labels until I had looked at every single bottle of barbecue sauce, and I only found one sauce that didn’t contain HFCS and caramel color, and that particular bottle was expired! So what’s the big deal with high fructose corn syrup? Moderate use of HFCS can cause heart disease, obesity, cancer, dementia, and tooth decay. In addition, caramel coloring can increase your risk of hypertension or high blood pressure. Both are bad news, and not something that I want my family eating. Since I wasn’t going to be eating bottled barbecue sauce, I picked up a bottle of molasses and decided I would try my hand at a homemade barbecue sauce. The results of my homemade barbecue sauce? Wonderful! The sauce is sweet, tangy, and savory, with just a hint of spicy. It tastes much better than any bottled sauce I have had, and it is quick and easy to make. Whisk all ingredients in a small saucepan, over medium heat. Simmer for about 5 minutes, stirring occasionally. And that’s it! It’s so simple! 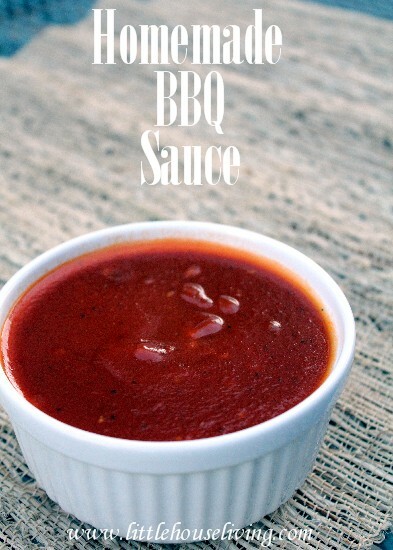 You will be blown away at how flavorful this barbecue sauce is. If you want it a little spicier, you could add some chili powder or sriracha sauce. This is a great barbecue sauced to baste onto grilled chicken, wings , or to mix with pulled pork. 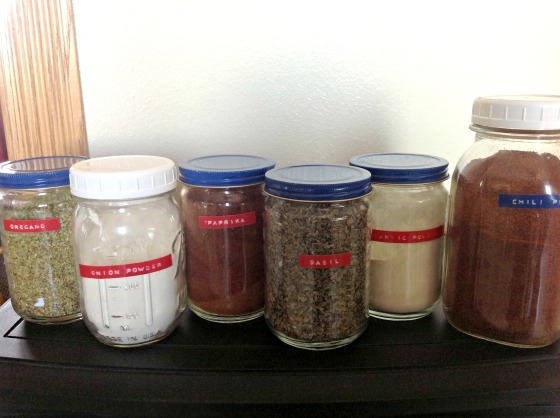 Do you make your own barbecue sauce? What is your favorite thing to add it to? Looks great and such an easy recipe. I just started making my own ketchup and barbecue sauce, which is also made from my home made ketchup. That is great, Mike! I have been buying Simply Heinz, which doesn’t contain any HFCS, but I bet it would be even better with homemade ketchup. I will have to give that a try next time! Can you can this for later use? Yes. I would think you could can it by following the rules for Canning Ketchup. I just have a problem with the worchestershire sauce containg monosodium glutamate, so I would replace it with organic tamari. I will definitely give it a try. That does sound like a great replacement, Magdel-Marie. Please let us know how it goes! Could you freeze this? I don’t have canning equipment any longer so I wondered if this recipe could be doubled and frozen? I am a teacher and this time of year I like to fill my freezer for those crazy school nights when there is no time to cook. My mom is a special-ed teacher, and I know how busy teachers get during the school year! Yes, this sauce should freeze well, for about 3 months. Just warm it back up on the stove top for about 5 minutes when you’re ready to use it again. You could also toss it with shredded chicken or pork and freeze it that way, then reheat when you’re ready to use it. Yum! I like a little Tabasco sauce in my BBQ sauce. I’ll be the molasses would be fantastic! Thank you!!! Thank you!! We went to the grocery Sunday. I generally use bbq sause a lot for a variety of meals. I am picky and always check ingredients and labels. But for some reason never bothered to check bbq sauce. Hubby ( and I with him) is on a very controlled eating plan as he just had stents put in. I, like you,picked up all our favorite bbq sauces and checked ingrdients. Most HFCS was first on the list…others seconds. I’ve made homemade ketchup to cut salt etc., but now will make several bottles of your sauce. This saves several favorite meals in our house!!! Happy dance!!! Thank you for sharing this recipe. My husband has to watch his sodium and with just a few changes, this will work great for him. Happy Mother’s Day weekend and thanks for sharing and linking up with us at the #WWDParty. I enjoy making my own ketchup every year with my home grown tomatoes. Your BBQ sauce sounds delicious and I can’t wait to try it. Thanks for sharing on Dare to Share where I could find it. Blessings. Thats is mouth watering meal… eventhough I’m semi Vegetarian.. I love pork,,, its been the new chicken for cooking for my family.. I go through spirts in eating all vegetables for a few years and then start up again with chicken or fish.. I do it mostly for my cholesterol..
I’ve been making my own salad dressings and sauces to avoid HFCS (as well as other undesirable ingredients). I haven’t tried BBQ sauce yet, but with summer approaching, I’m going to need some soon. I’ll give this a try! I make all kinds of glazes, marinades, etc.. but have never made homemade BBQ sauce so I your post caught my eye on the You’re Gonna Love It party. I am going to give this a try. Oh yay! This is awesome. I’ve been talking about looking for a homemade sauce. I’m so glad you put this up! I found you on MamaBuzz this morning and would love it if you’d link up to my Homemaking Party! This looks so delicious, i am going to try it. Pinned to our Small Victories Sunday Linky board. Thanks for linking up and hope you join us again next week! I’m all for making things from scratch, your sauce sounds delicious. Thanks for linking up to Sweet and Savoury Sunday, stop by and link up again. Have a great day!! Delicious! 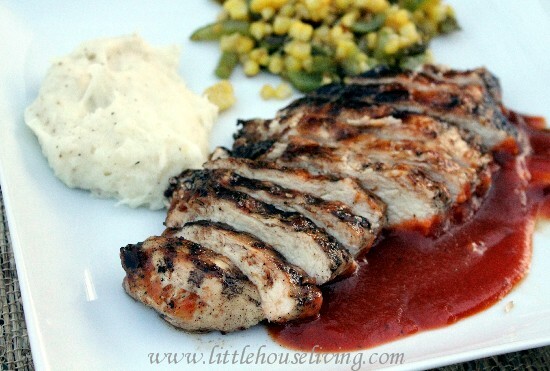 Hubby is grilling pork chops as we speak and glazing them with this delicious sauce. Love your site. I am a label reader and am shocked what people buy – out of convenience. I am back to using whole foods. Try not to cook with it unless I can see what it was at the start – a tomato. No GMO’d soy products for me thank you. And things taste so much better – like I was still on the farm. And I have downsized my life – from 3000sq feet to less than 1000sq feet. Less to clean and pay taxes on and more time to do things that I enjoy. Hope more people see this and give this a try. Keep up the great work. Delicious and soooo easy! Thank you! I used reduced-sugar ketchup to keep the sugar a little lower. 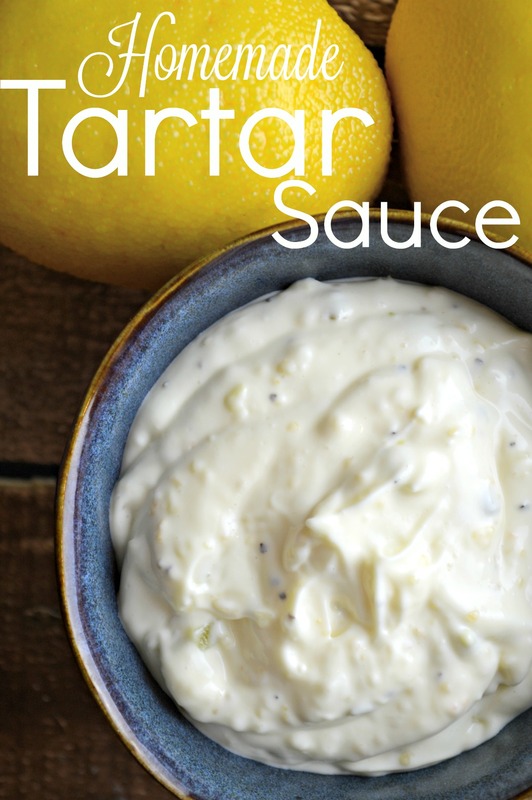 I love a good home made sauce, they are really quite easy and its good to know what goes in to you food… I always add a grated onion (red or white) to my BBQ sauce, but I like my sauces chunky…. This look delicious !!! We love BBQ sauce at out house and this would be a hit. Thanks for sharing. Visiting from Hope in Every Season. My Apple cider vinegar bottle lists Carmel color! Yikes. I wonder if white vinegar would be just as good? Just wondering how long this keeps in the fridge? Is this a recipe that can be pressure canned as is. Will it separate if I can it? well, for those that want it, this is my recipe for homemade bbq sauce. I invented it myself because all of the online recipes use more tomatoes than my garden puts out at one time. Skin and seed your tomatoes as best you can, and run them through a food processor. The pan I used listed in the recipe is about 6 quarts, so you need about 3 quarts of puree. Simmer for 2 to 3 hours or till desired thickness. Follow water bath canning instructions and seal in water bath for 20 minutes. Worchestershire has MSG. Any recipe for homemade worchestershire? I’ve got a recipe for you here! I make my own BBQ sauce also, and I love it! I am looking forward to trying yours. It sounds amazing! Thanks so much for sharing at Celebrate It! Thank you for sharing the recipe. Made mine today with extra Sriracha sauce, yum!